Riverhead Buick GMC has generously donated a hole-in-one prize of a three year lease on a new Buick Envision for the Suffolk Community College Foundation / Bridgehampton National Bank 32nd Annual Golf Classic. Selden, NY - August 15, 2016 - Time is running out, but donations and sponsorship commitments are on the rise as the Suffolk County Community College Golf Classic inches closer to tee-off time. 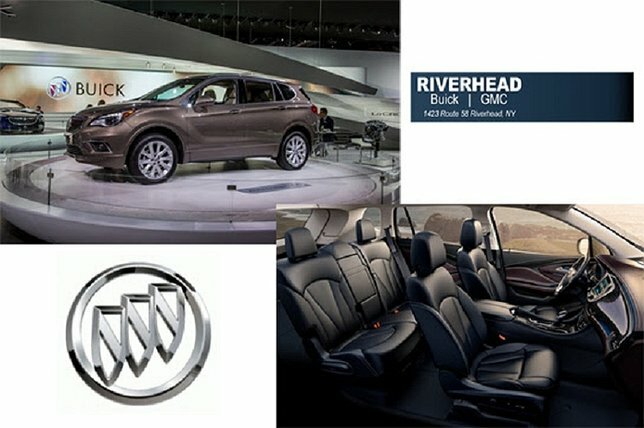 Riverhead Buick GMC has generously donated a hole-in-one prize of a three year lease on a new Buick Envision for the Suffolk Community College Foundation / Bridgehampton National Bank 32nd Annual Golf Classic on August 22 it was announced today. A golfer can drive away in a brand new Buick Envision if they can score a hole-in-one during the golf classic on the fourth hole of the Hamlet Golf and Country Club in Commack. “Riverhead Buick GMC has been and continues to be a generous supporter of Suffolk County Community College and our foundation,” said Suffolk County Community College President Dr. Shaun L. McKay. This year’s golf classic will tee-off on Monday, August 22, 2016 at the Hamlet Golf and Country Club in Commack. Registration includes 18 holes of golf, access to the driving range and putting green, golf cart, lunch, a cocktail reception and awards dinner. The proceeds from the Golf Classic will support need and merit-based scholarships, emergency student loans and quality academic enrichment programs for Suffolk County Community College students. Last year, more than 500 students were helped by $650,000 in aid from the Suffolk Community College Foundation. Register for the Golf Classic, the awards dinner or both at the Foundation’s website. Subject: LongIsland.com - Your Name sent you Article details of "Riverhead Buick GMC Donates Envision as Hole-in-One Prize for Suffolk Golf Classic"